There is nothing shocking to learn that the cool blue Aquamarine gemstone gets its name from the sea. The name is derived from 2 different Latin words, “aqua,” which means “water,” and “marina” which means “of the sea. 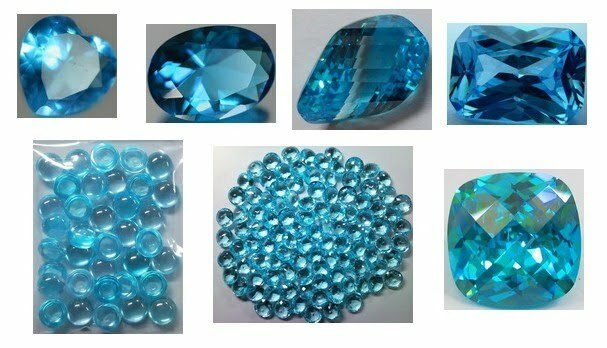 Said to calm rough ocean waves and protect sailors from dangers at sea, Aquamarine “water of the sea” gemstones are also fabled to enhance marital harmony and protect against enemies in litigation and war. The beautiful blue color of Aquamarine gems can range from a light pastel blue to a darker blue, some with greenish tints. 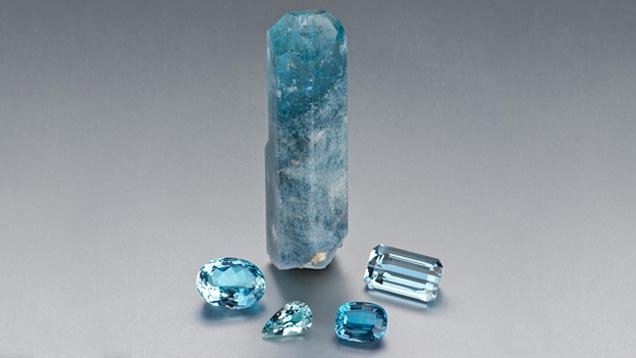 The most valuable Aquamarine gems have a dark blue to greenish blue color with a strong intensity. And wear an Aquamarine to their grave. 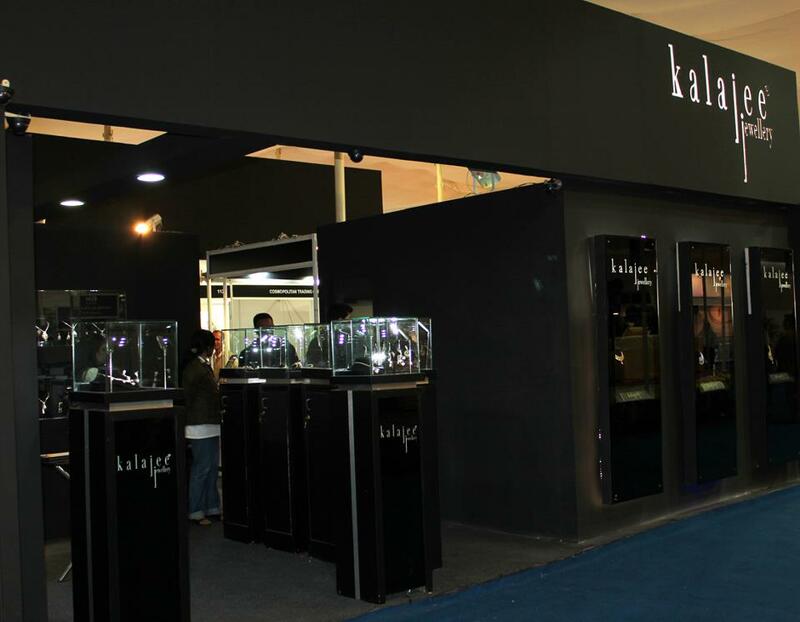 Find an exclusive and authentic range of Aquamarine gemstones and jewellery at the Kalajee Jewellery Jaipur. Enraptured & Enamoring: Jewels are timeless! For the present times, accessories are a key as well as a great way to update any wardrobe. And a number of both fresh and timeless jewellery trends are already emerging on the market to help you create the magic!! A few of the hottest trends this season include Right Hand Rings, Cocktail Rings, Charm Bracelets, and the light-weight bearings for the corporate women! 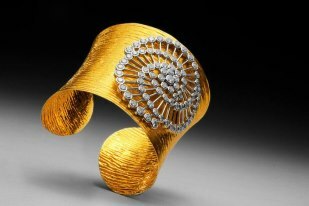 But undoubtedly though, certain styles of jewellery – such as vintage – are also expected to re-create their appeal this year. Classic vintage jewellery always holds some part of the jewellery market limelight; it captures the spirit of the 1950s, featuring modern interpretations of vintage classics which will, in time, become classics themselves and it comes as a regal deal! Nonetheless, Diamonds may be every woman’s best friend and the yellow metal – gold – their preferred investment, but the romance that women have with the ivory bead, the pearl, is forever and to add a touch of class, women consider the ivory bead as their best bet!! It offers an ideal addition to a woman’s wardrobe as it lends an air of elegance and sophistication to a lady’s appearance. Moreover, being the only natural gemstone that can be worn in its natural shape and is easy on the purse too! Understanding your passion for jewellery, Kalajee translates your thoughts into carving of stones giving them the vibrancy of colors. Its combination of Gold, Silver, Platinum, Opals and Pearls are so delicately arranged so as to give the wearer a feel of confidence and liveliness as the seven colors of rainbow. Known for its changing trends, its premium quality jewellery includes a wide variety range of Jaipur jewelry, Indian jewellery, 18 K gold jewelry, Indian gold jewellery, designer silver jewelry, designer jewelry, Indian bridal jewellery, Indian jewelry store, Jaipur jewelry, color gemstone jewelry, silver gemstone jewellery, and color stone jewellery; to name some few options. With so many options Kalajee provides a perfect blend of contemporary and Western designs to express the real essence of your exuberance! 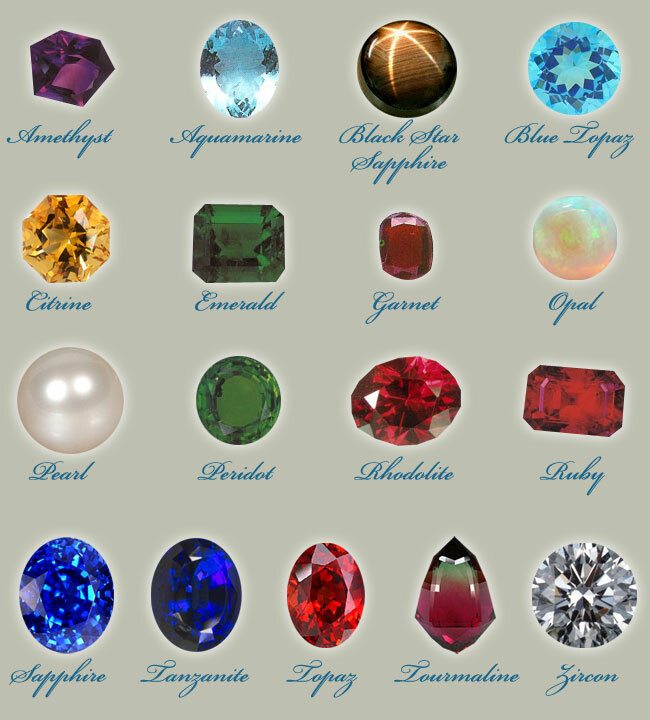 What are gemstones? Gemstones are natural minerals that after being cut and polished are used as adornments in jewelry and other decorative pieces. Gemstones have a long history, being used for not only ornamental purposes but also in rites that are spiritual in nature. Several gemstones have also been heralded, thanks to their healing and therapeutic powers. The meaning of gemstones, that is the symbology they represent and the powers they supposedly possess, is of fascination to people all over the world. So, whether you want your own personal pair of ruby shoes like Dorothy Gale from the Wizard of Oz or just a ring embedded with your birthstone that will help enhance certain qualities and fight negativity, knowing the gemstone meaning can help you make the perfect selection. Knowing the meaning of different gemstones can be beneficial, especially if you are a believer in the therapeutic and spiritual benefits of wearing gemstones. 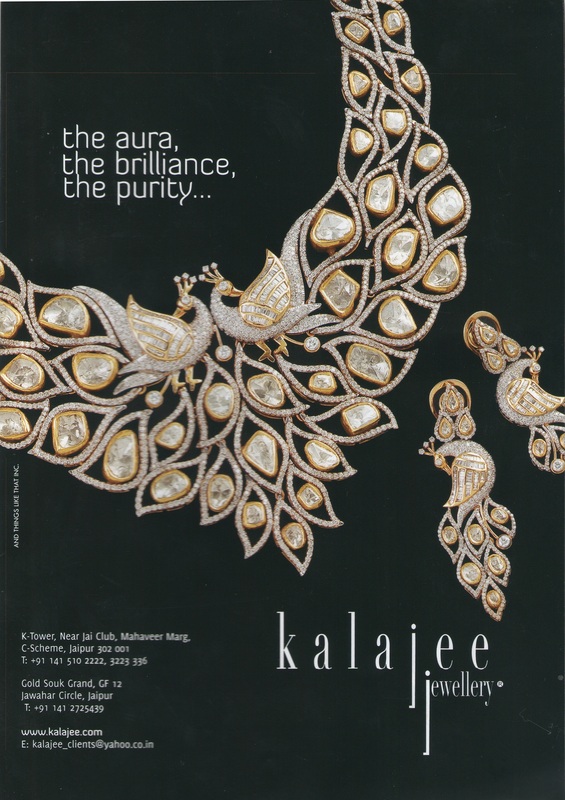 Visit Kalajee Jewellery Store Please visit Kalajee Jewellery Store at K Tower, 41 Mahaveer Marg, C-Scheme Jaipur. Ph. : 0141 510 2222 ext. 5113434 Website: http://kalajee.com/ Facebook: https://www.facebook.com/kalajee Twitter: http://twitter.com/kalajeejewels Pinterest: http://pinterest.com/kalajee for pure and real gemstone that goes well with your personality!! Every October, Cosmopolitan Magazine retails its best selling issue. Like every year, both young girls and women around the country look forward to the month of October to rapidly flip through the magazine and find their favorite jewellery in the print. 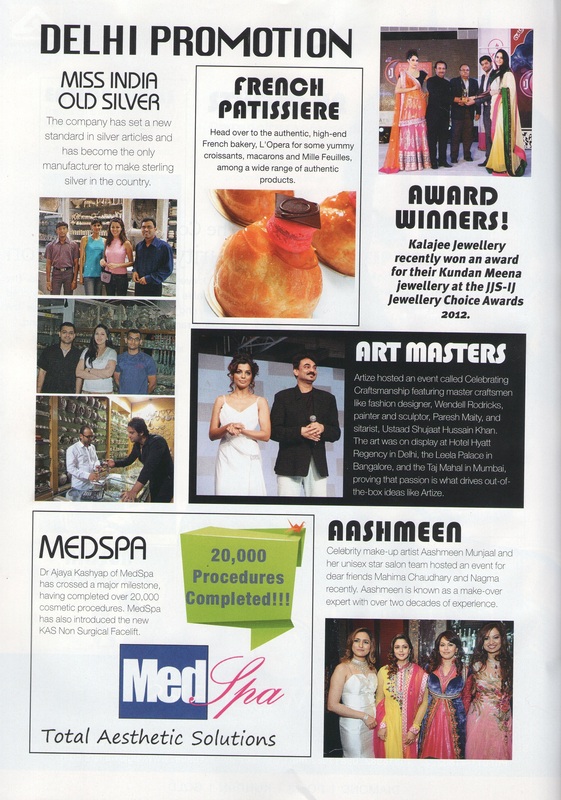 This time once again, Kalajee Jewellery Jaipur made it to the Cosmopolitan’s January edition for being awarded for Kundan Meena Jewellery at the JJS IJ Jewellery awards 2012. Find out the fabulous range of latest and traditional rings, necklaces, and bracelets at the Kalajee Jewellery Store in Jaipur!! In every woman’s life, a piece of jewellery witnesses memorable moments of happiness and euphoria. Jaipur, houses a great legacy of jewellery making for those women around. With antique jewels from the coffers of Maharajas to the contemporary designs studded with precious gemstones, the city has it all. And the city has one more Gem to talk about! Any Guesses?? Well, if we talk specially about the traditional and designer jewellery designs in line with contemporary style, the name that clicks everyone’s mind is Kalajee Jewellery-Jaipur. Exotic yet trendy, Kalajee Jewellery is the name that defines jewellery in its most alluring style. The Award was presented by Mr.Rajiv Arora and received by the MD of Kalajee Jewellers Mr. Naman Kala accompanied by his newly wedded wife Urvashi Rara Kala. Visit Kalajee Jewellery Booth at the December Show till 25 December at the Raj Mahal Palace, Jaipur for flabbergasting extravaganzas and spellbinding collection of resplendent Jewellery by our designers.